At Broward Factory Service we pride ourselves on offering services that provide you with convenience and peace of mind. That’s why we’re pleased to announce that Discount Locksmith Services are now available to our Home Warranty Customers in Texas. We are happy to provide this important new service at a Special BFS Home Warranty Customer Price of only $69.99. Just contact Mr. Rekey Locksmith to request service and use promo code “BFS” for the discounted rate. Contact us or call 877-237-9700 if you have any questions. NOT COVERED: Lock picking, lock-out service, or new lock sets; extra fees will be incurred for these services. 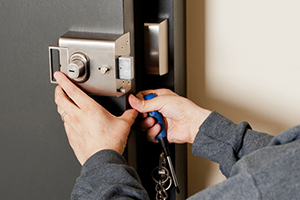 NOTE: This service is offered as a benefit by Mr. Rekey Locksmith. BFS Home Warranty receives no compensation for the recommendation of business to Mr. Rekey Locksmith and makes no guarantee about the service provided by Mr. Rekey Locksmith. Consumers have the right to compare the services of other companies providing rekey services. Next PostNext Ask the Expert: When Should I Consider Upgrading or Replacing My Air Conditioning System?